I think I need to purchase myself a GUESS ring...or several. 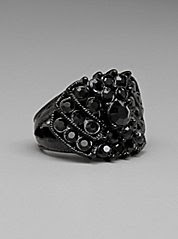 While browsing on their site, I came across quite a few rings that I adore - and they are all priced pretty well. As you can see below, I have a rhinestone adoration. I may need to check into rehab before it gets ugly. And of course I love anything turtle because it's my sorority mascot, so I want this little guy! 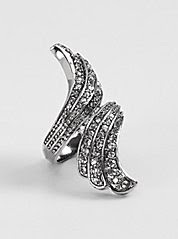 If you want to check out all of the options online, here's the link to the GUESS rings. 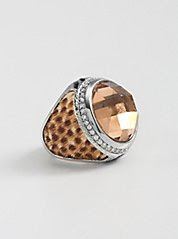 I love the Leopard Dome Ring! That is too cute! 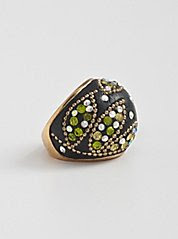 I agree on the leopard dome ring--cute! And I love the other dome ring, too. I'm all about the blingy jewelry! Those are gorgeous! I love the one with the ethnic design. I like the fact that all these rhinestones are affordable! 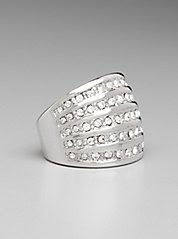 The rhinestone stretch ring looks like the type of ring I'd like. But looking never hurt, huh?! Hope you're having a great day girl. Give me anything with bling and I am happy. 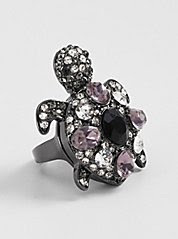 that turtle ring is too damn cute! 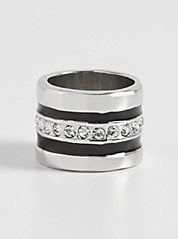 These rings are all great..I rarely wear fun cocktail rings...usually just my wedding rings...dunno why? they are so fun! Those are some rockin' rings! I love the first one! I love the Enamel ring! Super cute. 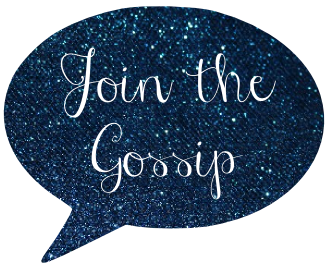 Super cute, and you are right ..
very reasonably priced. The first one is my fave! I need it!! they're all so pretty! such bargains for under $30. no need to check into rehab...just buy that leopard ring and you'll be a-okay. sorry. i'm horrible at shopping peer pressure. just call me an enabler. Wow, they aren't that expensive. I like the first one and the turtle. So cute! Ooh, these are all excellent choices. I love the leopard print dome ring, but I can see your draw to the Turtle Ring. Super cute! 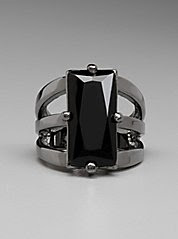 Rings are probably one of my favorite jewelry accessories because they can be subtle or really make a statement like some of these beauties. The leopard ring is hot and I love that! 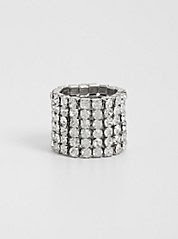 The five row rhinestone ring is also very nice.